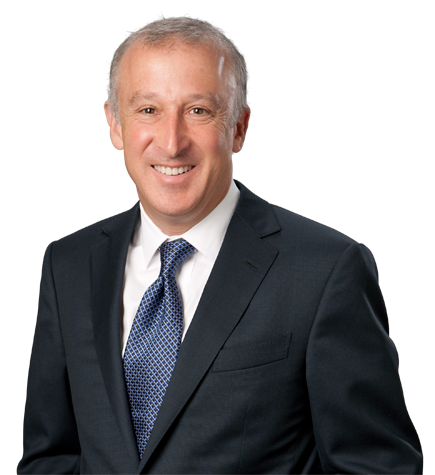 Ian Wiener advises clients on a wide range of transactional and business law matters, including mergers and acquisitions, private placements, public offerings, technology transactions, shareholder and partnership agreements, shareholder and partner disputes and general corporate representation. He has extensive experience in structuring and negotiating complex investments, acquisitions and restructurings on behalf of U.S. and international investors and other clients. Ian’s clients include entrepreneurs, inventors, startup and development-stage businesses, venture capital investors, private equity funds, money management firms, sovereign wealth funds and university technology transfer offices. Ian handles transactions in industries such as technology (including semiconductors, software and fintech), media and entertainment (including film and television production, radio broadcasting, recorded music and music publishing and casino gaming), life sciences (including medical devices, cancer therapeutics and other biotech) and healthcare (including hospital ownership and operation). Clients appreciate his creative problem solving, his practical approach helping clients accomplish their goals and his unwavering dedication to his clients’ interests. Prior to attending law school, Ian worked as a metals and mining industry analyst in the equity research department of PaineWebber Inc. He subsequently worked for Clemente Capital Inc., a New York-based money management firm, as a securities analyst for foreign and domestic equities and as a portfolio manager. In addition to providing legal advice, Ian is a chartered financial analyst. He also served as a faculty member of an executive education program at the UCLA Anderson School of Management, alongside distinguished professors of finance and accounting at Yale, MIT and UCLA, and presented a lecture on legal issues surrounding stock options and other forms of equity compensation. Represented a Singapore-based investment fund in its investment in a U.S. film and television production company. Represented a leading provider of business software and cyber security solutions in connection with the buyout of its majority owner and concurrent financing by a private equity fund. Represented ZetaRx Biosciences Inc., a startup biotherapeutics company developing therapies for the treatment of certain cancers and other diseases using genetically engineered lymphocites, in connection with the sale of its assets to Juno Therapeutics Inc. Represented Pinnacle Entertainment Inc., a publicly traded owner and operator of casinos, in connection with the sale of its Lakes Charles, Louisiana hotel-casino development project to Golden Nugget owner Landry’s Inc. Represented ZetaRx Biosciences Inc. in various preferred stock financings. Represented the majority owners of the National Football League's St. Louis Rams in the sale of their interests in the team. Represented a homebuilder in the restructuring of in excess of $50 million of its debt through a tender and exchange offer. Represented Crescent Entertainment LLC in connection with the merger of Village Roadshow Pictures Group (owned by Crescent and Village Roadshow Limited) with Concord Music Group. Represented Centinela Freeman Holdings Inc. in connection with its sale of Centinela Hospital Medical Center, a 369-bed general acute care hospital in Inglewood, California, to Prime Healthcare. Represented Mapleton Communications, an owner and operator of radio stations in the western U.S., in connection with the sale and issuance of senior preferred units to Corporate Partners II, a Lazard Alternative Investments fund, and Mapleton's acquisition of 10 radio stations from Regent Broadcasting. Represented Clarity Partners L.P. as equity sponsor of Crescent Entertainment LLC's $115 million investment in Village Roadshow Pictures Group. Represented Economic Analysis LLC, a privately held economic consulting and expert testimony firm, in connection with the sale of the company to LECG Corporation, a publicly traded expert services firm. Represented Pinnacle Entertainment Inc. in connection with its public offering of $128 million in common stock. Represented Pinnacle Entertainment Inc. in connection with its public offering of $135 million in 8¾% senior subordinated notes and its tender offer for its outstanding 9½% senior subordinated notes. Represented Financial Management Advisors, a money management firm, in connection with the sale of a minority interest in the company to Asset Management Investment Company plc. Represented Clarity Partners L.P. in connection with Clarity’s $320 million strategic investment in OpNext Inc., an optical components manufacturer, and the spinoff of OpNext from Hitachi Ltd. Represented Outdoor Vision, a media services firm, in connection with the sale of the company to Carat North America Inc. Represented Rondor Music International Inc., a music publisher, in connection with the $400 million sale of the company to The Seagram Company Ltd. Represented Deutsche Banc Alex. Brown, as lead underwriter, in the initial public offering of ACME Communications Inc., an owner of television stations. Represented Vulcan Ventures in connection with its $300 million strategic investment in Go2Net Inc., a publicly traded internet portal and search company. Represented Penhall International Inc., a construction equipment rental company, in connection with the $130 million leveraged buyout of the company by private equity firm Bruckmann, Rosser, Sherrill & Co. L.P. Represented website operator Starwave Corporation and its controlling shareholder in connection with the sale of the company to The Walt Disney Company. Represented Broadway Video in connection with the $100 million sale of its film libraries to Golden Books Family Entertainment Inc.